According to the football transfer rumours in Spanish Media (Fichajes), Inter Milan are tracking Atletico Madrid defender Jose Maria Gimenez. The Uruguay international has joined Atletico Madrid from Danubio for a fee in the region of 900,000 euros in July 2013. The 22-year-old has a valid contract with Atletico Madrid until June 2018. Since his arrival from Danubio, Jose Maria Gimenez has scored 4 goals and provided 5 assists in 97 games for Atletico Madrid, including one goal and provided one assist in 29 games in all competitions this season. The 22-year-old is considered to be one of the best defenders in Uruguay. Jose Maria Gimenez has represented Uruguay at Under-20 level, winning nine caps, before making his senior international debut in September 2013. As a member of Uruguay national football team, Jose Maria Gimenez has won 33 caps and has scored four goals. The defender has just 12 months remaining on his contract and Atletico Madrid may consider a deal in this transfer window to avoid losing him for nothing next summer. A number of clubs are said to be monitoring his situation, with Inter Milan showing the most concrete interest in an attempt to lure the player to their team. The Uruguay international is thought to perfectly fit the profile of defensive player Luciano Spalletti wants to target in the summer transfer window. Luciano Spalletti will reportedly be handed a huge transfer kitty this summer and the Atletico Madrid defender is thought to be among the manager’s priorities. The centre-back can also play as a right-back, offering Luciano Spalletti a different option should he change his formation at Inter Milan. Atletico Madrid are not in a position where they need to sell and would like to keep hold of the defender, but offers of at least 30 million euros may force the club to consider a deal. 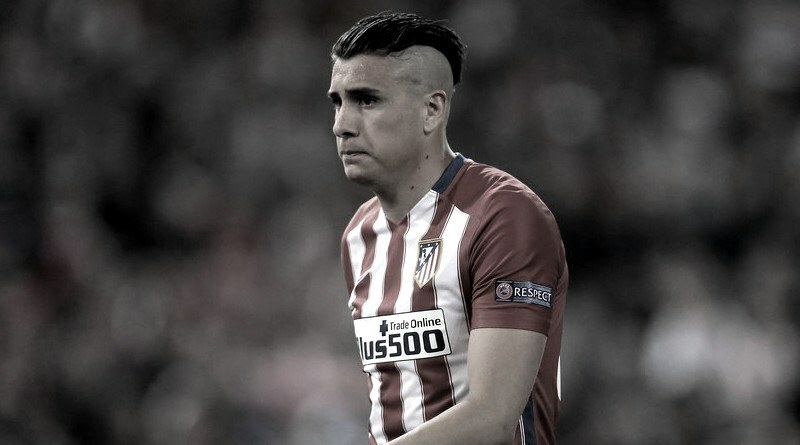 Having signed Jose Maria Gimenez for 900,000 euros in the summer of 2013, to make a 29 million euros profit on the 22-year-old who, without question, will be fantastic for Atletico Madrid is a good deal all round.